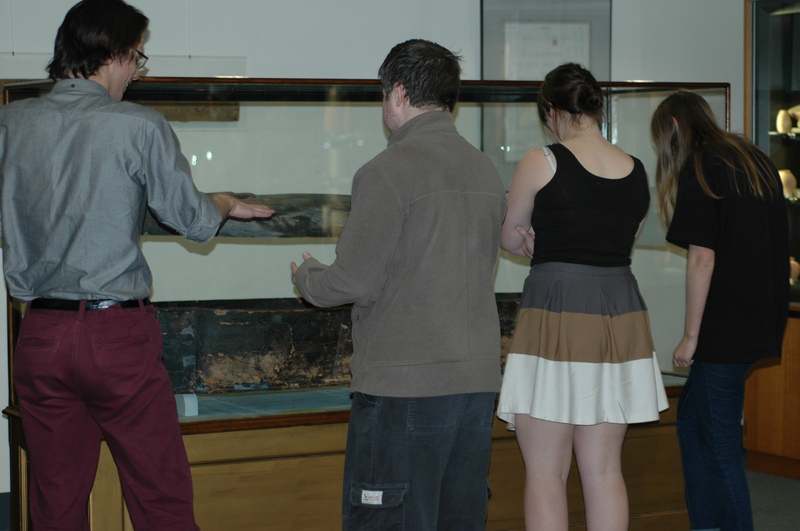 Students discussing the mummy on display. The mummy is on loan to us from the Australian Museum. 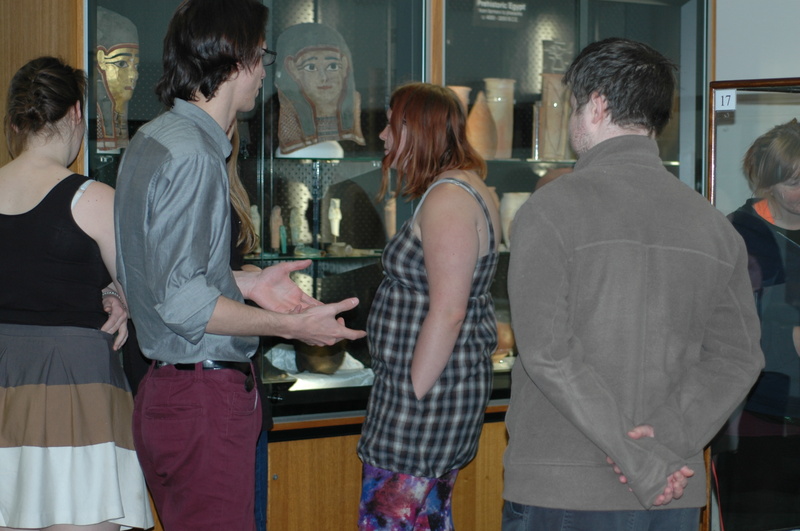 Students looking at burial masks in the Egyptian section of the Museum. The masks are on loan to us from the Australian Museum. The Museum of Ancient Cultures is an archaeological museum within the Faculty of Arts at Macquarie University. Its holdings largely centre on the ancient cultures focused on the Mediterranean world. Since the Australian Centre for Egyptology is based at Macquarie, the museum has an Egyptology collection built up from excavated material, objects purchased internationally as well as a loan of material, and includes a mummy on loan from the Australian Museum. Our collections cover the Near East, ancient Greece, Cyprus and regional Italy as well as Hellenistic, Roman, Byzantine, and most recently, Indus Valley material. We have the largest ancient papyrus collection –held in a specially-designed research room–in the southern hemisphere. We provide education programs for those upper primary school and specialise in programs for junior and senior high school. We operate a popular Year 10 Work Experience program, host a volunteer program for our undergraduate students, as well as an internship program for students from a range of universities. The museum is actively involved in museological research. If ancient cultures is your thing, come in and see us!